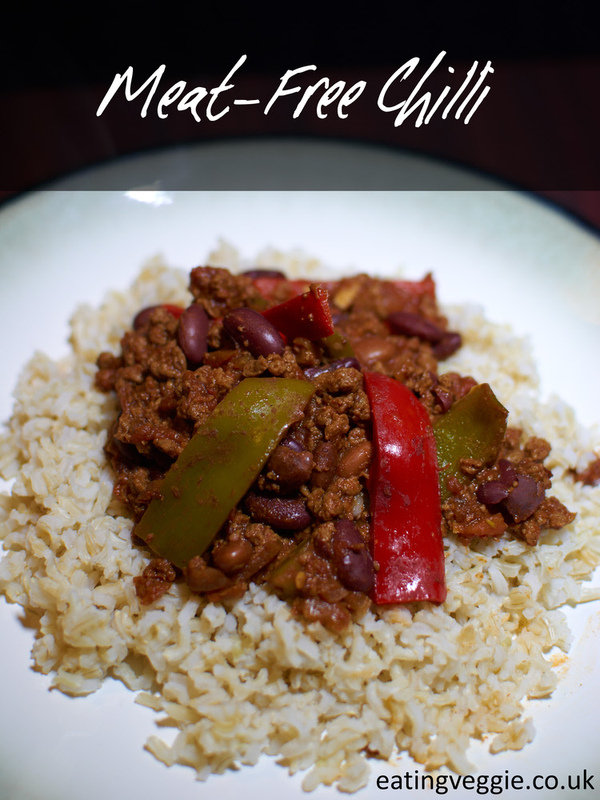 I love a good chilli, in fact I love everything Mexican! The flavours are just so big and bold that you can’t help but smile with each mouthful as it warms it you up from the inside. For this chilli I’ve made it using a meat-substitute mince (Quorn, specifically) and I know some of you have your reservations about such things but I find this is a perfect thing to sever up to my family, most of which are happy carnivores, where we can all enjoy a good meal together without the usual quips about being meat-free. Using meat-substitutes can be another string to your culinary bow, providing more options when trying to come up with something to make. Just like anything, don’t only rely on meat-substitutes though, keep a variety in your diet to ensure you’re getting everything you need. Meat-substitutes are of course fantastic at easing the transition into a vegetarian diet. Just be careful though, not all meat-substitutes are suitable for vegans, including Quorn which uses egg to help bind it together! Heat the oil in a large frying pan (or wok!) to a medium heat and gently fry the onions until they just gain a little colour, add your frozen mince to the pan and gently fry for about 10 minutes. Add the garlic, chilli, tomato purée, paprika, cumin, cinnamon and chipotle paste. Stir everything really well and cook for 3-4 minutes. Add the beans, peppers, chopped tomatoes, vegetable stock, coriander stalks, juice of half the lime, a good pinch of salt and lots of black pepper. Stir well and cover, if you haven’t got a lid then fashion one out of tin foil (that’s what I do), reduce to a low heat and cook for 20 minutes, stirring a few times. If you’re cooking brown rice this is a great time to get this going as you’re about 30 minutes from the end. Once the 20 minutes is up cook uncovered for a further 10 minutes, just before it’s ready squeeze in the juice from the remaining half of the lime and add the leafy coriander. Give it a thorough stir and serve!